evening’s speaker. Before outlining Murray’s multiple achievements, I hope you won’t mind my indulging in a small personal anecdote, if only to illustrate where we’ve come from. I first fully met Murray at a Hogg Conference at Bowhill in 1989, when he was near the start of his career. The colloquium was organized by Douglas Mack and David Hewitt was also there, both of them on the cusp of commencing the publication of their monumental editions of Hogg and Scott respectively. If memory serves me correctly it was then that David Hewitt invited myself, Murray, and Douglas one evening to a bothy that he had access to on the Abbotsford estate. I was not drinking, so had the privilege of being something of a fly on the wall (or even impartial observer) on the occasion. Subsequently I’ve likened it to the scene in Shakespeare’s Anthony and Cleopatra where Anthony, Octavius Casar, and others meet up on Pompey’s galley to divide the world between them (as one of its so-called pillars is carried off in his cups a bystander, having been told that he represents a third of the world, wryly observes that ‘The third part, then, is drunk’). Not that there were any scenes of drunkenness in the bothy. The analogy I’m reaching for rather is the three ‘three pillars’ part, since it’s amazing what that trio in the bothy have subsequently achieved in restoring and revaluating Scottish literature, our present speaker not least through his work on Burns, Hogg, Allan Ramsay and others, as well as in more broadly redefining important aspects of Scottish cultural history. Murray is now Bradley Professor of Literature and Pro Vice-Principal at the University of Glasgow, with responsibility for the Kelvin Hall development and research partnerships working with a range of external bodies. 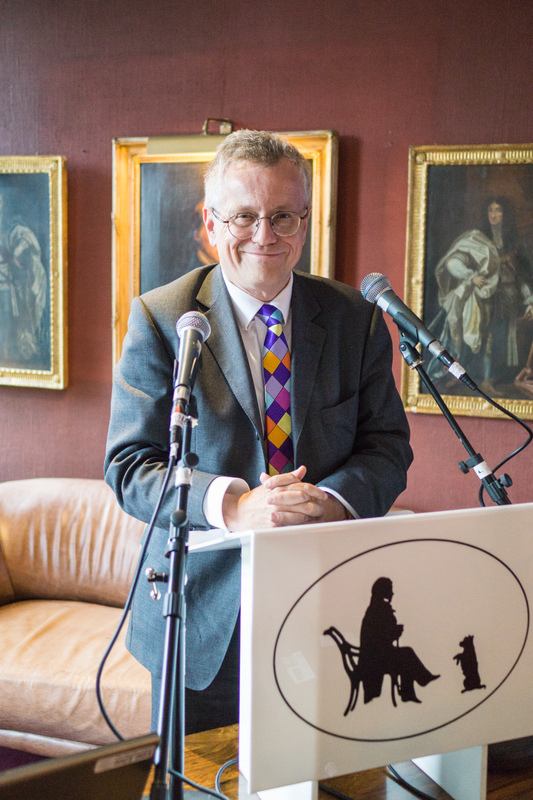 He has previously held chairs at the universities of Manchester (where he was the first chair of Scottish Literature at an English university) and Strathclyde, as well as visiting appointments at a number of overseas institutions including Yale, New York University, Notre Dame, Prague, and South Carolina. He is honorary adviser in Scottish History to the National Trust for Scotland, and his books include Material Culture and Sedition (2013), Scottish and Irish Romanticism (2008), Celtic Identity and the British Image (1999), Inventing and Resisting Britain (1997), The Myth of the Jacobite Clans (1995, 1999, 2009) and The Invention of Scotland (1991, likewise twice republished). He has also single-handedly edited The Reception of Sir Walter Scott in Europe (2007, paperback 2014), and his next book, Culloden, is due out in July and will feature at the Edinburgh Book Festival on 22 August. His present funded projects include the first scholarly edition of The Scots Musical Museum (due in 2 volumes from Oxford University Press in 2017) and a full-length study of Edinburgh in the First Age of Enlightenment: How the City Changed Its Mind, 1680-1750. His talk today is titled: ‘Citizen of the World or Native Heath: Rob Roy as a test case for Scott’s view of the Enlightenment’.